After an overnight flight you’re bound to hit the ground in Georgia sleepwalking. Whilst an infusion of chacha (grog to counteract grogginess) would certainly invigorate the flagging spirits, Georgian Airlines barely stretches to a cup of mud-coffee – let alone a wee dram of the hard stuff. Anyhoo, we freshened up at our charming hotel (located in the old part of Tbilisi) and united with our partners-in-wine who had been out of the lam the night before. 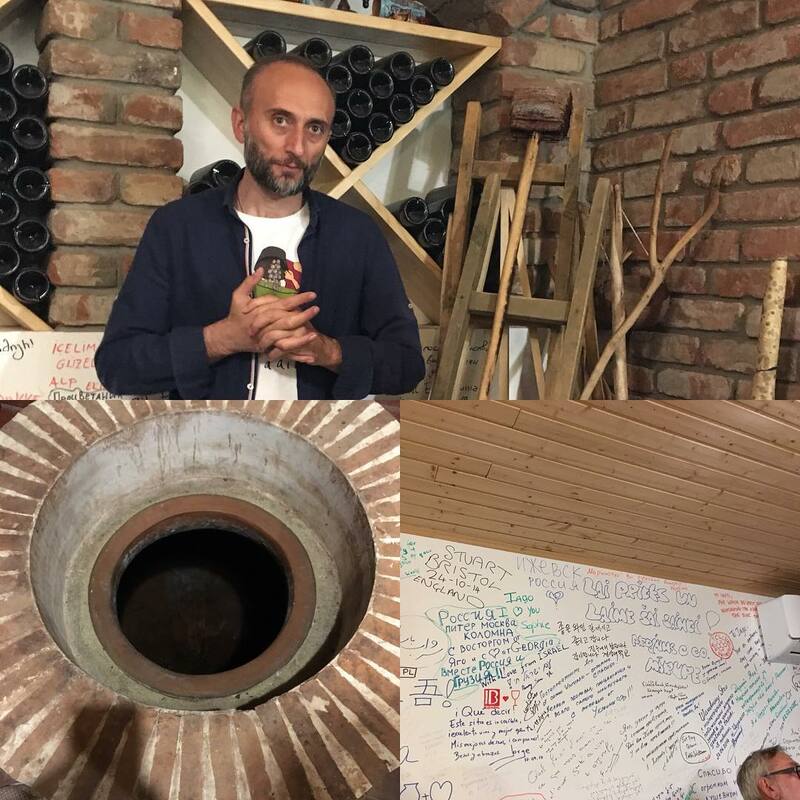 Evidently, Monday night is party night at Gvino Underground, a Tbilisian haunt frequented by wine cognoscenti and growers alike, although perhaps it would be fair to say that every night was party night. A scale map of Georgia and its wines. After a pit stop at a colourful pasty-dispensing hole-in-the-wall, to restore our inner-pie equilibrium, followed by an essential infusion of caffeine, we bowled out of Tbilisi in our newly-christened #lovebus to begin our vinous adventures. First visit was to a grape nursery and research centre, one established in 2009, comprising a collection of 425 (and change) of Georgian autochthonous varieties (20 plants of each). We learnt a new word #germplasm (I don’t know what it means either) and listened to our cicerone, John Wurdeman, expatiate on the geography and wine history of Georgia as he stood in front of map of the country with wine bottles plugged into the respective regions. According to the map, Georgia comprised around thirty empty bottles of wine, but we knew that there was a lot more where that came from. The nursery project is important as it not only identifies, protects and reproduces varieties, but conducts detailed ampelographical experiments and analysis. Vignerons may also sign up for cuttings from the nursery and transplant them onto rootstock. Pheasant’s Tears’ appropriately named Poliphonia, for example, is a blend of 417 different grape varieties. Ch’nuff said! Iago’s Winery with Qvevri and the man himself. You can’t digest 400 + Georgian grapes on an empty stomach, so next feeding station was at Iago Bitarishvili, whose winery is situated in the village of Chardhaki, and is surely one of the main “watering-holes” on the Georgian vino-agro-tourism trail. 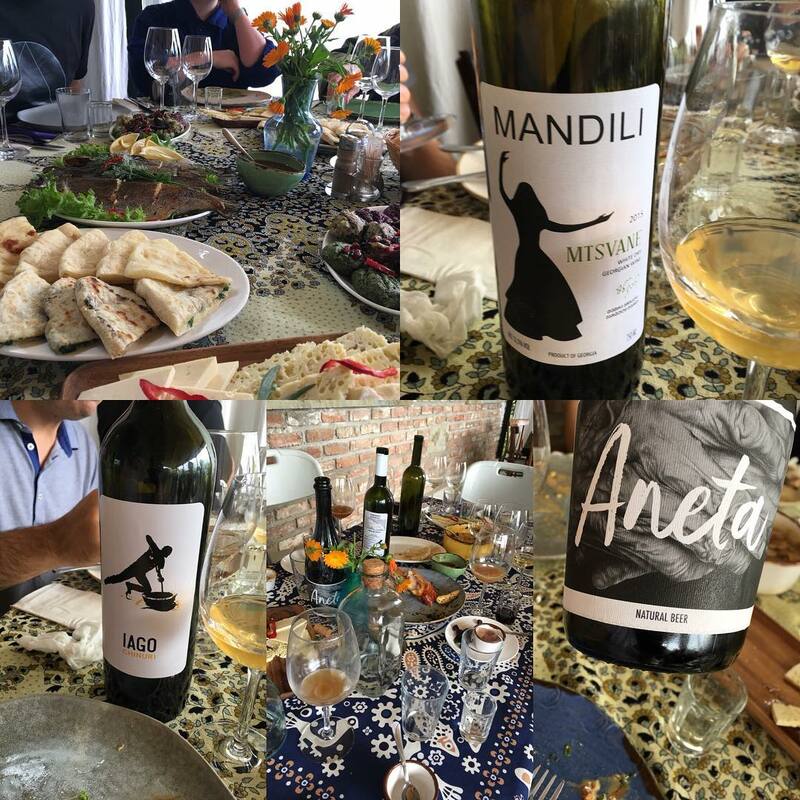 We ate a generous lunch prepared by his wife, Marina Kurtanidze, drank Iago’s Chinuri and Marina’s Mtsvane – both six months on skins, and, swigged some (curiously refined) chacha. We briefly went to the cellar to view the qvevris, where Iago expounded on the fact that cleanliness is next to qvevriness. 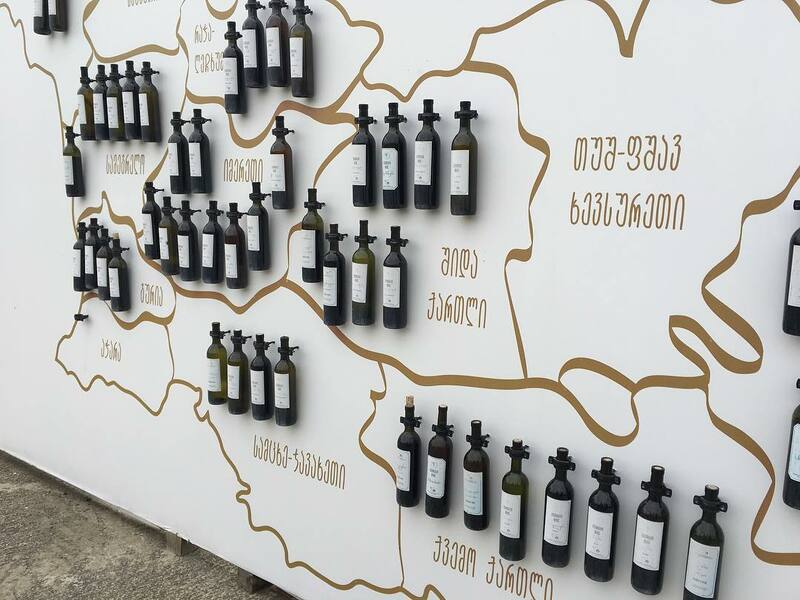 For all the artisan craftiness of Georgian wine, it is interesting to note that that qvevri hygiene is paramount. 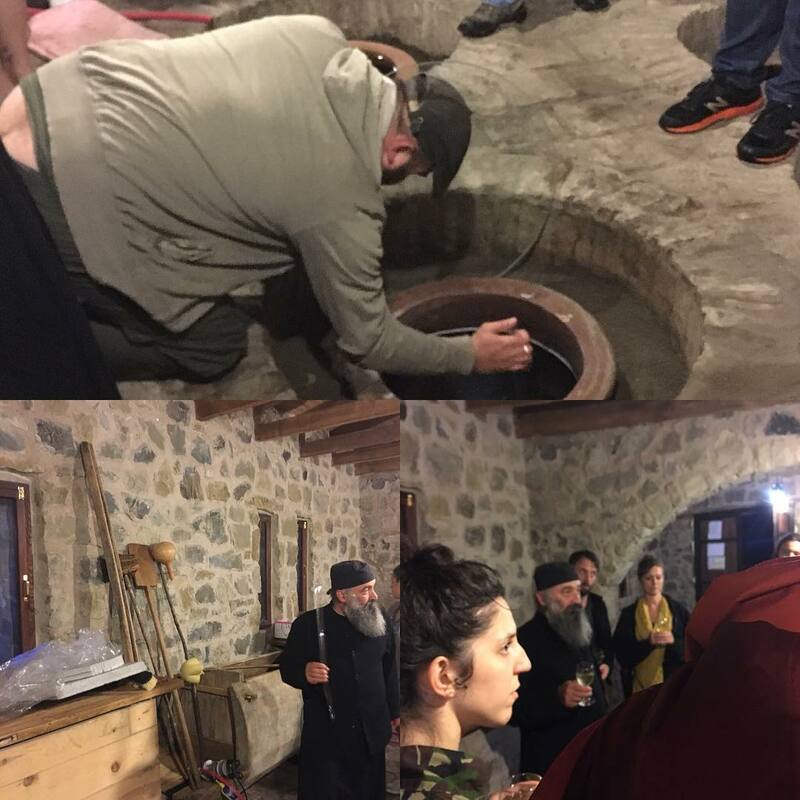 Scrubbing and flushing out with water helps to prevent wines from acquiring a particular bacterial smell/taint; the maintenance of the qvevri is essential practice within Georgian winemaking. We said our fond goodbyes to Iago and family, and drove to Uplistsikhe, one of the most significant tourist attractions in Shida Kartli. This is an ancient cave town, dating back to the 1st millennium BC. It’s where the foreman of Shida Kartli lived, which is how the town got its name which means “the Lord’s fortress’. In 4th-3rd centuries BC the settlement grew into an important strategic town, with two sections: the ‘inner’ town, located in the caves which were used as shelter during invasions, and the ‘outer’ town where settlements were located around the caves. At the summit of the complex is a Christian basilica and many caves of different sizes and types to explore. You can also see fragments of roads carved in stone, ditches and secret tunnels. We clambered around in the clammy drizzle – into the complex of dips, dents and scourings. 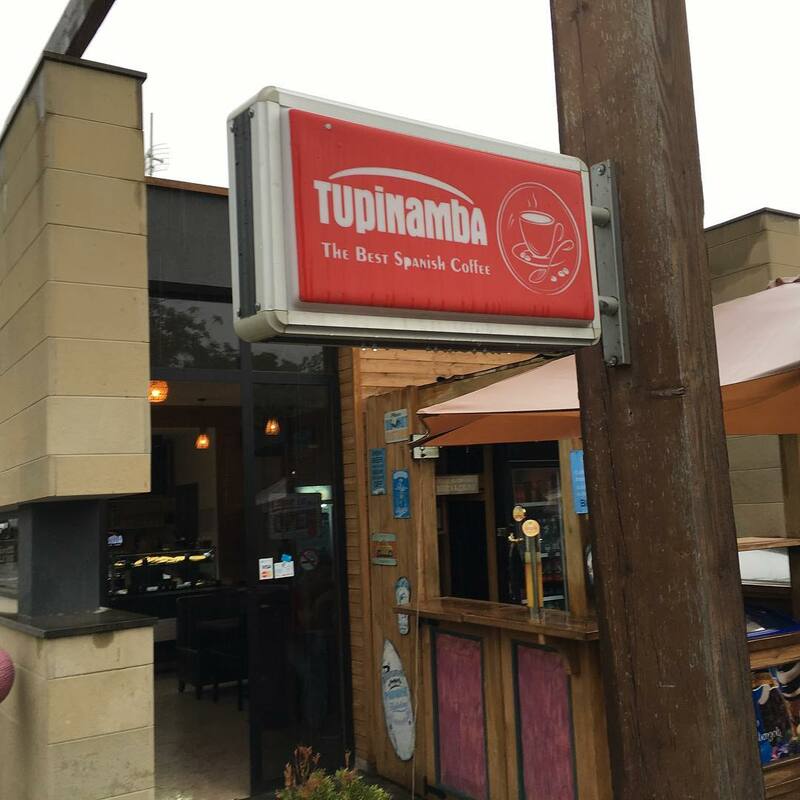 The landscape resembled a sandstone golf course, and after receiving a thorough soaking, it was good to repair to the 19th hole, namely a small café, that specialised in “the other Iberian coffee”. Quick note: In Greco-Roman geography, Iberia (Ancient Greek: ?????? ;Latin: Hiberia) was an exonym (foreign name) for the Georgian kingdom of Kartli (Georgian: ?????? ), known after its core province, which during classical antiquity and the Early Middle Ages was a significant monarchy in the Caucasus. The coffee here was Spanish (Spain being a well-known coffee country), so we refreshed with an ale instead. 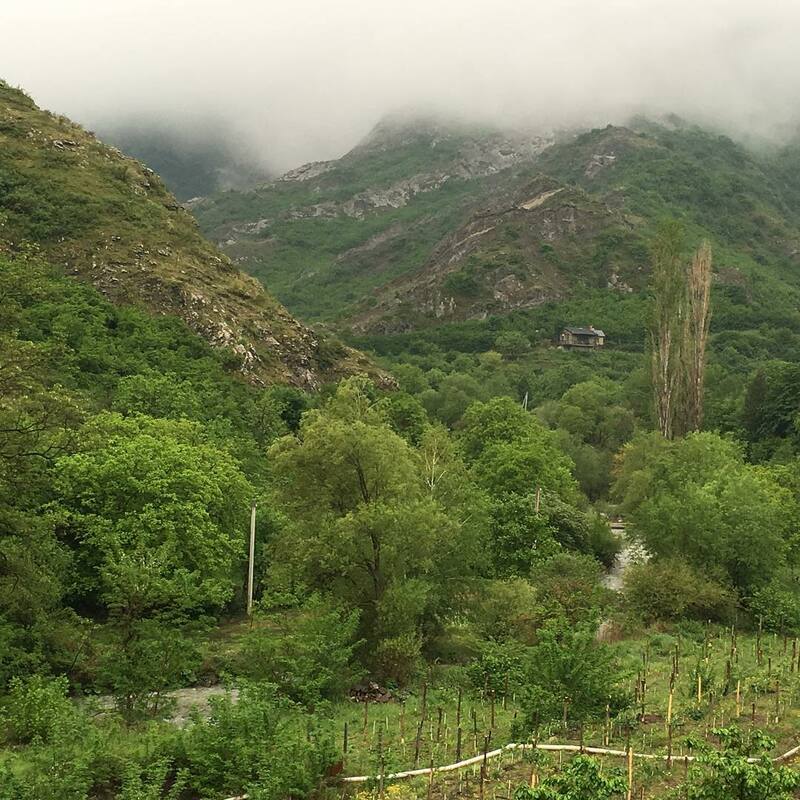 Our soggy party piled back onto the bus and continued the drive into the heart of Kartli/Iberia through the town of Gori until we were winding along a tiny country road which bisected a range of steeply-sloped forested hills, were swathed in swirling atmospheric mist. We finally drew up outside a church. The setting was magical as if we’d arrived in a lost valley, the low rumble of river providing a sonorous background bass which almost highlighted further the wonderful silence. The Ateni Sioni, an early 7th century domed church, stands on the bank of the River Tana on the hilltop. Its facades are revented with carved quadrangle greenish-grey stones and is richly decorated with ornaments. The walls of the church contain inscriptions using the early Georgian alphabet dating back to the 9th-11th centuries. In Georgia, churches and wine go together like chacha and a supra. We met the resident black-robed, suitably-bearded father/priest with his Goga in attendance. 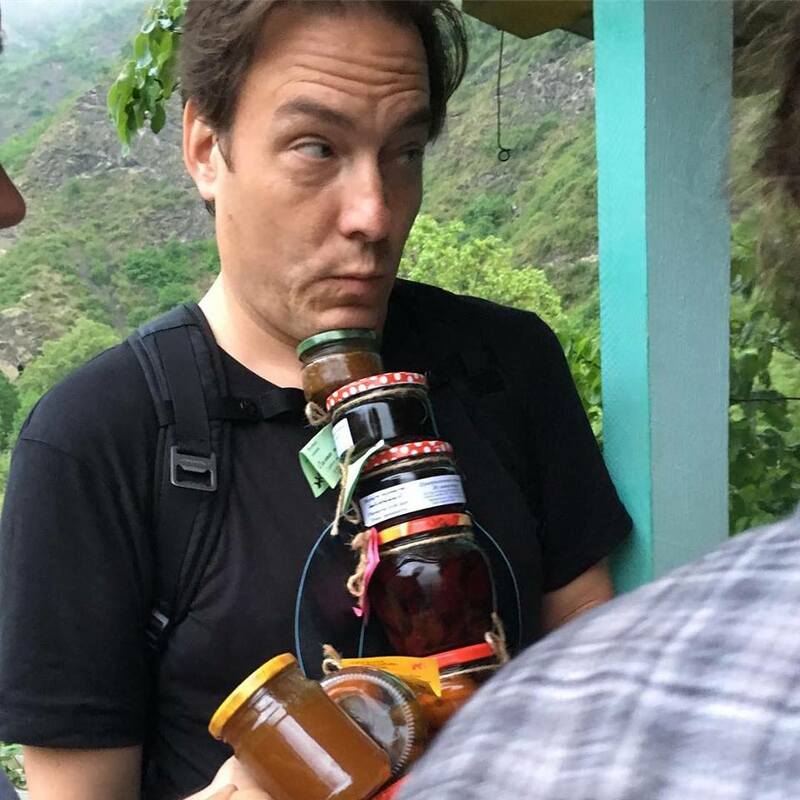 After a quick stroll around the church, we repaired back to a hut where the man himself introduced us to the church’s artisan products – honey, jams, pickled fruit, confits, and then he also produced sachets of the most deliciously-whiffy blended spices and flavoured salts. As lari were liberated with alacrity from wallets, the father became our local dealer, dispensing more and more aromatic treasures until we verily reeked of the exotic, meanwhile the Goga (factotum, par excellence) was required to disappear at intervals into the mist and reappear -as if by magic- with a fresh medley of monastic comestibles. Everyone needs a goga! Hopefully, the combined lari of the #lovebus patrons will go a little way to restoring part of a fresco. Marko Kovac calculating how many more jars of locally produced jams and conserves he will have to buy before the frescoes in the monastery can be restored. We were not done; in Georgia, churches and wine go together like…chacha and a supra. So, we pootled along from one part of the Shangri-La valley to another, to a convent where the holy sisters came out to inspect the strangers who were disturbing their contemplation. They make their own wine for their own consumption, but we were here in the qvevri cellar to sample the local mountain Chinuri from the father and his winemaker. Incidentally, look to the hilltops and you will crosses mounted in key positions – at night many of them glow a luminous green. The father beamed with delight as he plunged the wine thief into the golden yellow liquid and squirted it into our proffered glasses. Solemn (yet smiling) prayers were said, invocations were made, opinions were elicited. The first wine was suffering from a kind of microbiological taint; it smelled a tad cardboardy, but there was no denying that lurking underneath was some crunchy fruit. The ’14, a favourite vintage of the father, was belting, boasting razor-sharp acidity and crystalline high-altitude fruit. Chin-chin Chinuri. By this point the father was not going to allow us to leave without a fight, so another bottle was broached and another genial little homily was recited. There is a saying that in certain cultures there is no concept of mañana, because they cannot conceive of anything so immediate! So, too, in Georgia, where the table is always waiting, groaning gently and generously with food. By this time, we were running several hours behind our nominated schedule and one might expect our next host, Giorgi Revazashvili, to have been chomping at the bit. By no means. There is a saying that in certain cultures there is no concept of mañana, because they cannot conceive of anything so immediate! So, too, in Georgia, where the table is always waiting, groaning gently and generously with food. You sometimes wonder whether the food is actually cooked, or whether it is summoned up from a deep spiritual place. Food appears. The dinner was excellent – an assortment of cheesy breads, dumpling parcels filled with cheese, or pork, an array of colourful veg pepped up with herbs and spices, salty cheese, slow cooked pork stew. As with any Georgian banquet the food piles up – literally. All mopped up with plentiful wine. Hospitality is an article of faith in Georgia. When you enter someone’s house it becomes their bounden duty to feed you and give you a place to sleep. The welcome mat is laid out with heartfelt verbal flourishes. Gaumarjos, Giorgi – thanks for having us in your house and at your table.